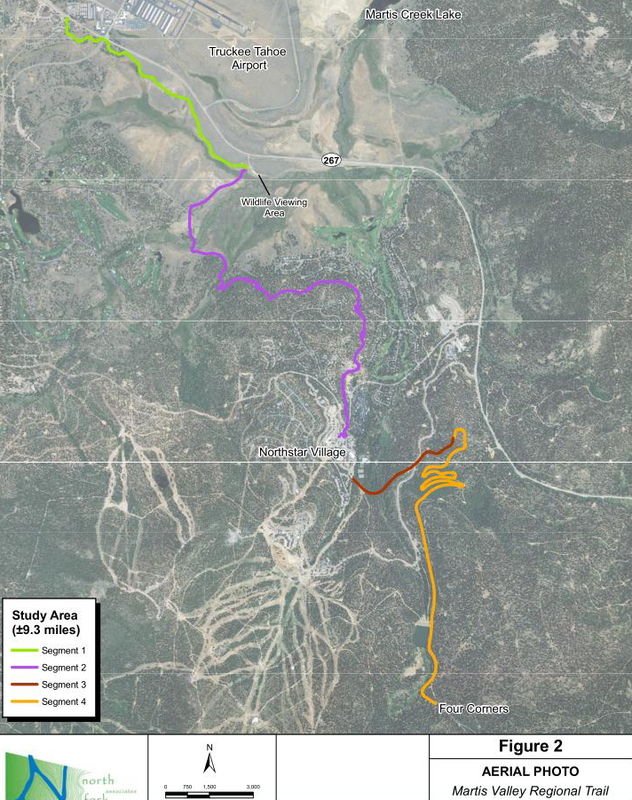 The proposed new Martis Valley bike trail will be discussed and reviewed October 17, at 5:30pm, at the Truckee Town Hall (10183 Truckee Airport Road). The final Environmental Impact Report is now compete and open to public review. The lead agency, Northstar Community Services District, has made revisions and clarifications from the initial draft study. There are still two route options to be discussed. One route meanders through Martis Valley on existing trails and dirt roads. The other route parallels Highway 267. 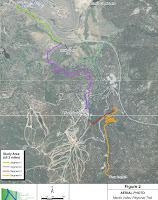 The route through Martis Valley would be the preferred route for trail users. The valley is scenic and quiet. Homeowners in the area don't want the additional trail users disturbing the peaceful valley. If homeowners win, the trail will parallel Highway 267. The proposed project would be a paved multi-use trail from the airport to Northstar Village. The 9 mile length trail was estimated to cost $18 million dollars.